Loren Kling’s love for comedy began at a young age, when he was glued to his father’s collection of comedy albums. It wasn’t until he gave the Best Man speech as his brother’s wedding – tantalizing the audience’s attention for 10 minutes… plus an encore – that he discovered his own comedic talent. Since then, he’s put his sharp wit and unique sensibilities to good use as a television host, emcee, voice actor, interviewer, and producer. Loren is the host of the EMMY-NOMINATED series, “Explore T.O.,” and host and producer of 5 Things That Changed Your Life, a 12 episode, a multi-season interview series where guests share 5 stories, events, or experiences that had an impact on their lives, and A Conversation With…, an “Inside the Actors Studio” style interview series where he sits down with top-tier voice-over artists, emerging actors and media influencers. Loren indulged in a childhood passion for classic TV game shows by creating The Best 3 Questions Ever!, where “Match Game” and “To Tell the Truth” meets “Fresh Air’s” Terry Gross. As a voice actor, he’s recorded spots for top brands including Target, IBM, and DirecTV. He was a series regular on the animated digital series Minecraft High and Strange Minecraft Deaths…, which have a combined 16 million views on YouTube, and the voice of Sonic in Sonic & Shadow. Loren is also the voice of multiple characters for English translations of Spanish-language TV soaps, or Telenovelas. Mr. Kling has trained at iO West and spent six years treading the boards with the mainstage improv troupe at National Comedy Theater. He has performed stand-up comedy at well-known comedy clubs around Hollywood, including The Comedy Store, Hollywood Improv, and the Ice House. Loren is a graduate of San Diego State University‘s Film and Television Program and lives in Los Angeles, CA with his wife and three cats. 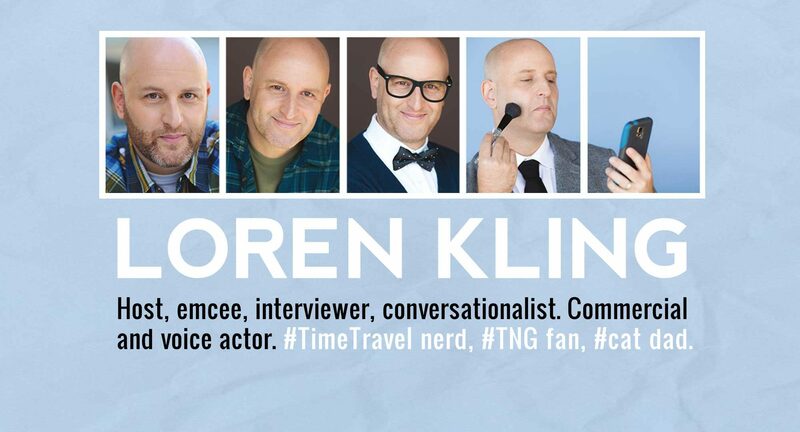 Loren is the host of 5 Things That Changed Your Life, a multi-season interview series where guests share 5 stories, events, or experiences that had an impact on their lives. LISTEN to seasons 1 and 2 on the 5 Things That Changed Your Life website, and on iTunes, Google Play, Stitcher, Amazon Alexa (through the TuneIn app, or through your favorite podcast service.